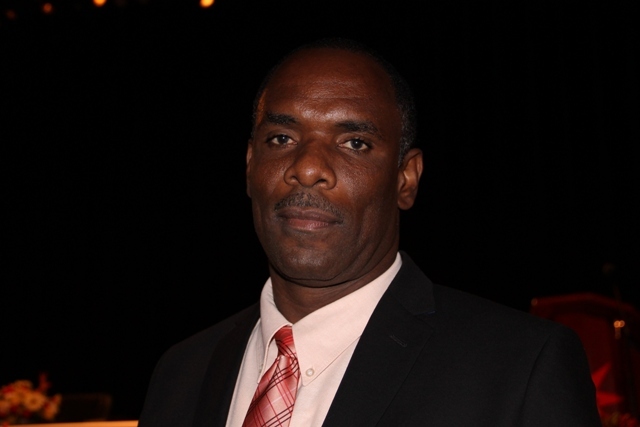 NIA CHARLESTOWN NEVIS (SEPTEMBER 24, 2015) — Permanent Secretary in the Ministry of Finance Colin Dore described the performance of the Nevis economy over the past year as steadily improving. 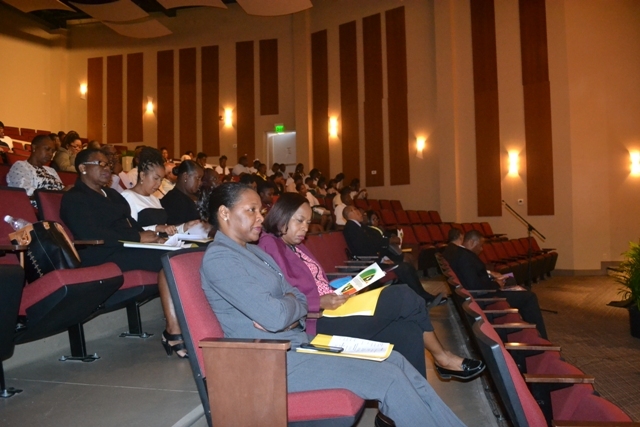 The disclosure came when he delivered a presentation at the Nevis Island Administration’s 9th Annual Consultation on the Economy on September 24, 2015. According to Dore, following the economic meltdown of 2008, a prolonged global economic recession in the major world economies, the economy had seen steady growth in some of the major pillars on which the economy is built. He stated that the last International Monetary Fund (IMF) report on the performance of the Federation, the economic growth continues to increase, outpacing many of its regional partners both in the Caribbean and Latin America. The Permanent Secretary said the medium-term growth outlook for 2015/2016 is projected to be 3.5 percent which he said was based on a conservative Citizenship by Investment (CBI) inflow assumption. He said the IMF further projects that over the next five years, the economy will continue to grow at a steady rate of 2.5 percent per annum. On the domestic front, Dore explained there continues to be increases in the revenue base. He said the total recurrent revenue collected for 2014 stood at $128.5 million increasing by 5.79 percent when compared to the same period in 2013. He noted that revenue collections for the first six months of 2015 amounts to $70 million, surpassing the $62.8 million collected for the same period last year. Based on that trend it is anticipated that the total revenue collected for 2015 will surpass that collected for the entire period last year. Dore stated that strong growth patterns continue to surface in the area of non-tax revenue collections and noticeable increases were seen in Import Duties, Transfer Taxes, revenues from the Financial Services sector and the Value Added Tax (VAT) which generated $39.1 million for 2014. It represented approximately 30 percent of total revenue collected for that year. He said, to date, those areas continue to show strong growth patterns for the first half of 2015. According to Dore, among the areas showing growth are the tourism and construction sectors. He said there is an 11 percent growth projection in tourism related revenues for 2015 compared to the period 2014. Regarding the construction sector, he said it is also showing signs of growth based on the data provided by the Department of Physical Planning, with residential construction being the dominant area. The liquidity on the banking sector coupled with the First Time Home Owner programme and the CBI programme continues to be the driving force behind the revitalisation of the construction sector. He pointed to the increasing number of persons engaged in formal employment, driven mainly by increasing employment in the hotel and restaurant sector, construction, wholesale and retail, trades and public administration as further evidence of the economic turnaround on Nevis.